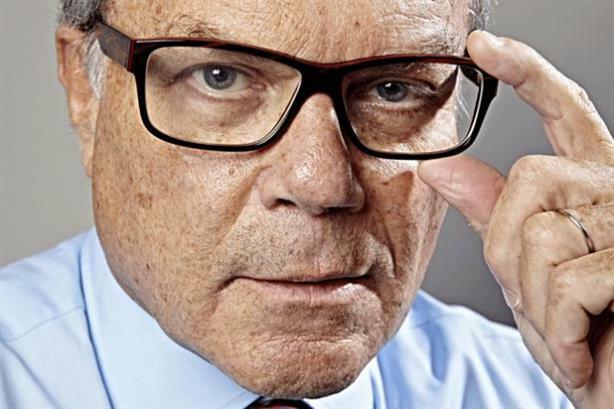 WPP has reported a 1.8 per cent rise in like-for-like net sales at its PR and public affairs division for the first four months of 2015, with growth reported in all regions except the UK and Continental Europe. Total sales in the division grew two per cent. The figures represent an improved performance, following growth in the division of 1.6 per cent on total sales, and 1.2 per cent on a like-for-like basis, in the first quarter. "All regions, except the United Kingdom and Continental Europe, were up, with continuing strong growth in Asia Pacific, Latin America, Africa and the Middle East, as in the first quarter," said WPP, whose PR agencies include Finsbury, Hill+Knowlton Strategies, Cohn & Wolfe, Burson-Marsteller and Ogilvy. He said: "C&W UK is enjoying growth across all our core practices, which is being fuelled by increasing client demand for our creative integrated marketing communications. What’s pleasing is that our performance in 2015 is building on 16 per cent growth last year and I’m confident that our performance this year augurs well for the rest of the year ahead." In a trading update to time with its AGM this afternoon, WPP, led by CEO Sir Martin Sorrell, reported a five per cent rise in like-for-like revenue on a constant currency basis to £3bn for the four months. Total revenue (on a constant currency basis) grew 7.1 per cent. Chairman Philip Lader said: "As in the first quarter, there was like-for-like revenue growth in all regions and business sectors, except data investment management and reflecting particularly strong growth in the United Kingdom and Asia Pacific. "On a like-for-like basis, advertising and media investment management and branding & identity, healthcare and specialist communications (including direct, digital and interactive), as in the first quarter of 2015, continued to be the strongest sectors. As in the first quarter, the mature markets of the United States and United Kingdom showed the strongest growth." There was "consistent growth" in North America, where like-for-likes increased 4.2 per cent, although this reflected a slight reduction over Q1. Constant currency revenue growth in the UK was 17.2 per cent, with growth of 8.1 per cent on a like-for-like basis, while there was a slight improvement in Western Continental Europe, with like-for-like growth of 3.4 per cent. In Asia Pacific, Latin America, Africa & the Middle East and Central and Eastern Europe, trading "softened slightly", with like-for-like growth of 3.1 per cent over the four months against four per cent growth in Q1. "In Asia Pacific, India continued the strong growth seen in the first quarter, with China a little weaker." Lader said: "All in all, 2015 looks to be another demanding year, although a weaker UK pound against a stronger US dollar may continue to provide some modest currency tailwind, partly offset by a stronger pound against the euro, although a modest impact on profits, unlike the fierce currency headwind in 2014." This story was updated on Tuesday to include a comment from Cohn & Wolfe UK CEO Scott Wilson.